When a user goes through the steps in the InPlayer paywall, there are 8 functions that are triggered that you can use to track your conversion rate, registrations, drop-offs to for example monitor what traffic source or ad campaign is performing best. InThis guide we’ll show you how to use them. 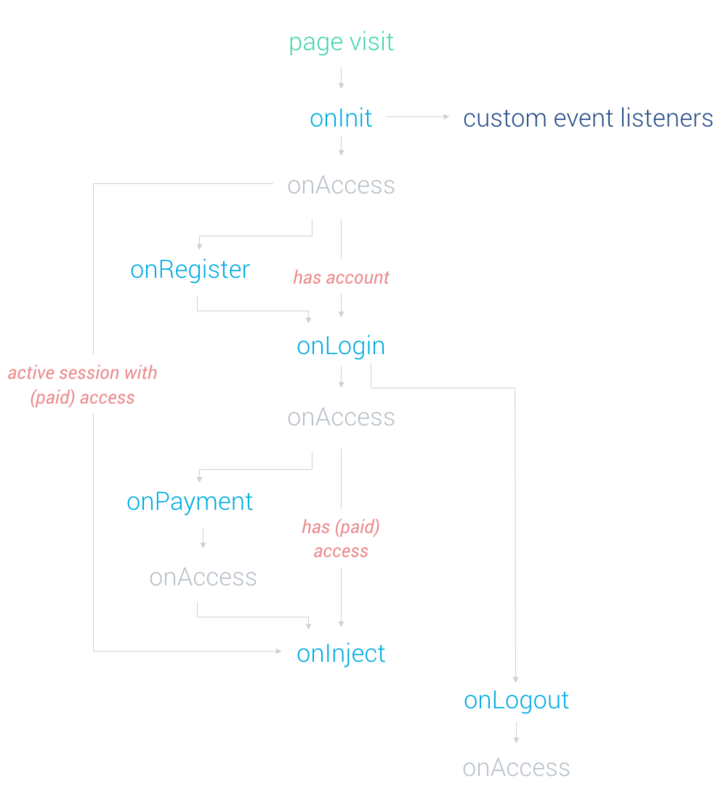 Here’s a flow chart visualisation of when the functions are triggered. So how do you use the functions? When setting up your paywall you get a paywall embed code on the add/edit asset page. To use the functions you add them in that same script that goes in the body of your web page. If you want to get code examples of how to use these functions to send events to Google Analytics or Facebook Pixel you can take a look at the following sections.